Thanks for stopping by! We hope you enjoy the photos and travel tips you find here. 3 Photos Selected for 2019 Exhibit! The competition for the 2019 Minnesota Landscape Arboretum Photographers' Society Juried Show included 165 photos submitted by a total of 21 photographers. Of the 25 photos selected for the show, I’m honored to share that 3 of my photos will be in the show. View the selected photos. 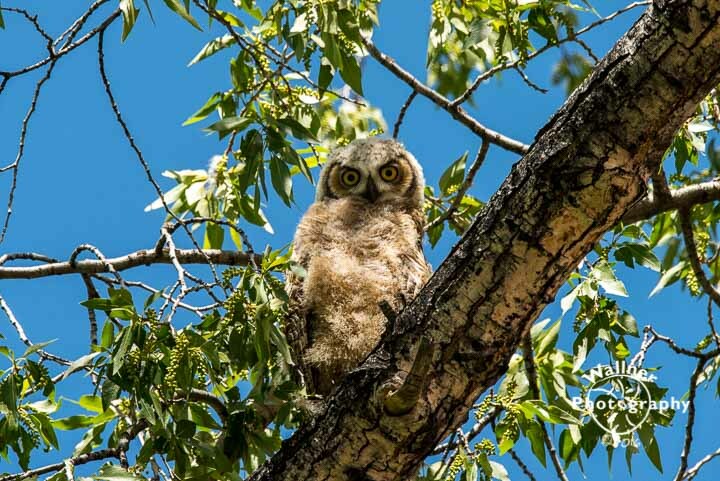 A Great Horned Owlet sitting in a tree in Mammoth Hot Springs, Yellowstone National Park. ©2016-2019 Joan Wallner Photography. All rights reserved.